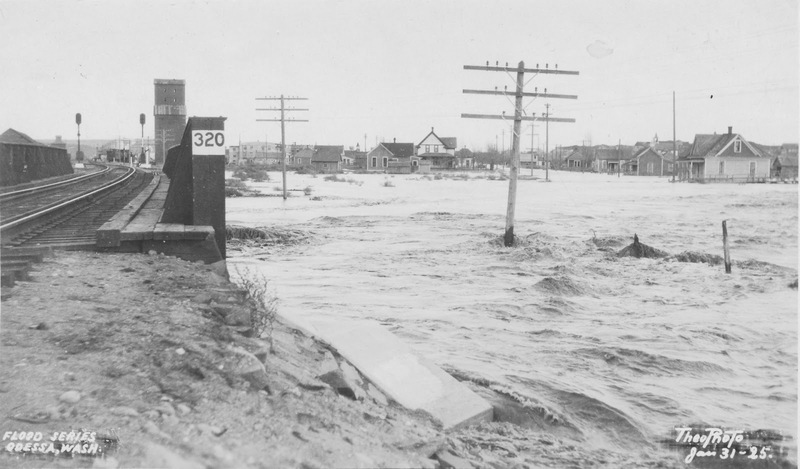 In January 1925, Crab Creek overflowed its banks after a mid-winter thaw and nearly washed out the tracks at Odessa. Crab Creek is normally very well behaved, but has occasionally become the raging torrent seen here at Odessa and also at Wilson Creek, where the mainline has washed out a time or two. The bridge number was changed by the 1950s to reflect the milepost location, instead of being the 320th bridge from St. Paul.